second largest city of Brazil and is one of the most beautiful city in the world. It is known as the cide maravilhosa or "The Marvellous city” because of its mixture of natural beauty in the form of long sandy beaches and urban architecture. Olympics is an international multi sport event held in every four years. Rio de Janerio will host the next olympiad, the 2016 summer olympics games. It is scheduled to be held from 5th August to 21st August , 2016. This is the first olympics to be held in South America. It is a big opportunity as well as challenge for Brazil to prove its excellence in organising world class events. The paralympics will also be held in Rio de Janerio from 7th September to 18th September. There will be 28 sports and 38 disciplines in the upcoming olympic games. More than 10,500 athletes from 205 participating nations are expected to take part in this game. The 2016 summer olympics symbol showcases the olympic spirit , the harmonious diversity, the natural beauty and contagious energy. The olympics logo resembles three figures in yellow, blue and green in a triple hug joined at the arms as representing Suarloaf Mountain. The main theme of the games will be "Live your passion." The 2016 Summer Olympic programme features 28 sports and a total of 42 disciplines. The Olympic Venues truly display the Brazilian spirit , art and culture in its unique essence display the Olympic spirit. The Venues are artistically and asthetically impressive. The infrastructural development for the Olympic games is really impressive . There are 34 competition venues where olympics events are going to be held out of these there are 18 venues that are currently operating. 7 venues will be temporary while 9 venues will be built. Barra Zone : It is the heart of the games hosting most of the olympics venues including the Olympic village and the media center. Copacabana Zone : It is World famous beach and is a major tourist place. Maracana Zone : It contains the Maracana stadium . It will host the opening and closing ceremonies of the games. 2016 Summer Olympic Games Mascot : The mascots are important message transmission vehicles for the world's largest sports event, especially for children and young people. It is essential to the spectator experience, the mascot reflects the host country identity and culture. 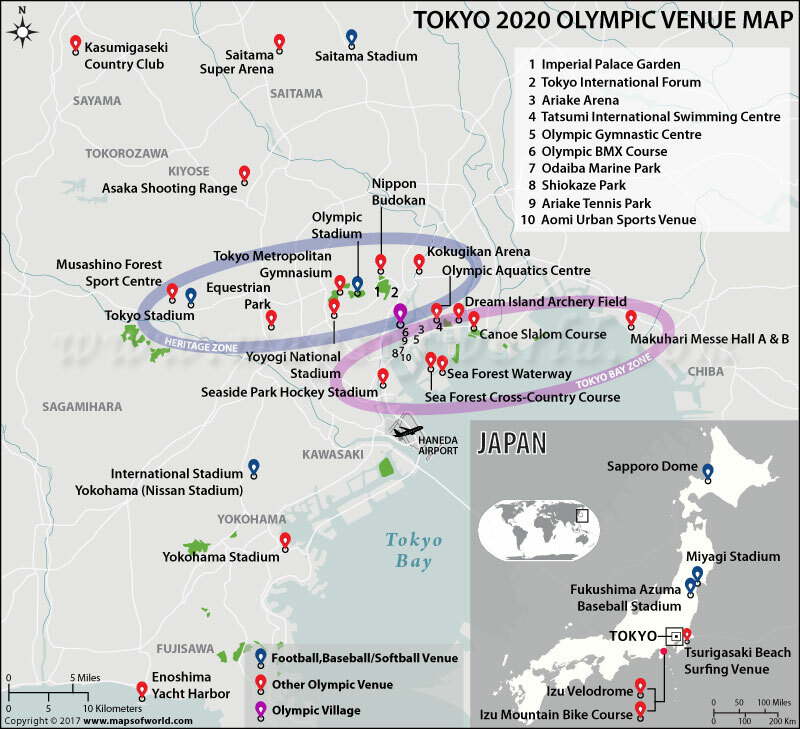 Five cities are competing to host the world’s biggest sporting event - the 2024 Olympic Games. According to media reports, the International Olympic Committee announced that the five cities that are in the fray to host the mega event include Rome, Budapest, Paris, Hamburg, and Los Angeles. The winner will be announced in September 2017 after voting at the IOC’s conference in the capital of Peru, Lima. Summer Olympics is regarded as the largest international sporting event. It is held at an interval of every four years. There are quite a few of events held in the competition and the first, second and the third competitors are awarded gold, silver and bronze medals respectively. This international sports competition is also popular as the Games of the Olympiad and boasts of a history of more than a hundred years. The history of the Summer Olympic Events dates back to as early as 1894 when Baron de Coubertin and Pierre Fredi decided to try out sports for improving international relations. This competition was modeled on the Wenlock Olympian Society Annual Games, which has been held since 1850. The first Summer Olympics saw the participation of only 245 competitors representing 14 countries. Of these competitors, more than 200 were from Greece itself. The second Summer Olympics in 1900 was the first one in which the participation of women players were granted officially. Eleven women were allowed to compete in lawn tennis and golf. This event is organised by the International Olympic Committee (IOL). The Olympics program includes 35 sports and nearly 400 events. The Summer Olympics includes 28 sports with 38 disciplines and the Winter Olympics includes 7 sports with 15 disciplines. The Summer Olympic sports are archery, badminton, baseball, basketball, beach volleyball, boxing, cycling, diving, equestrian, fencing, field hockey, gymnastics, judo, mountain biking, rowing, sailing, shooting, soccer, softball, swimming, synchronized swimming, table tennis, tennis, track and field, volleyball, water polo, weightlifting and wrestling. Two sports, taekwondo and triathlon (swimming, biking, running), were introduced for the first time at the 2000 Summer Games in Sydney, Australia. In 1996, Mountain biking made its Olympic debut. 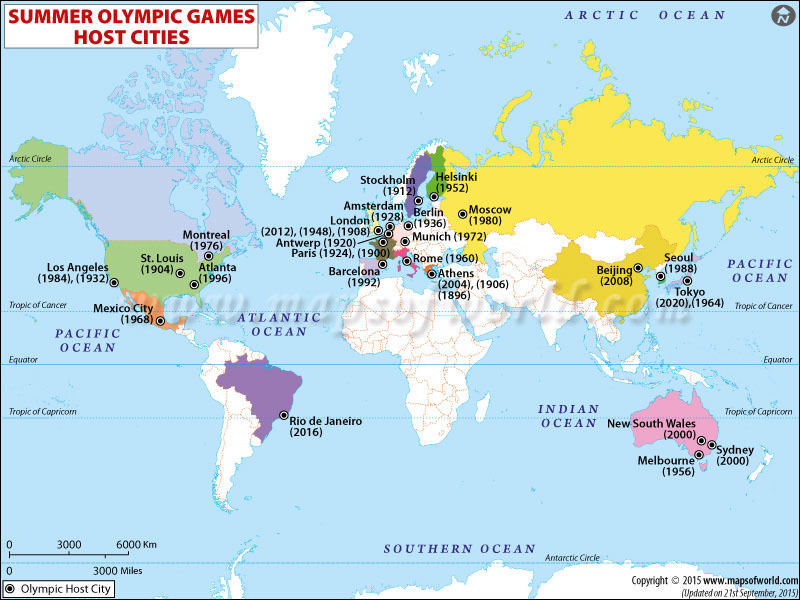 The United States of America has the record of hosting Summer Olympics most time, i.e. four times, whereas three continents - Africa, South America, and Antarctica - have never hosted a Summer Olympic Event.